On May 19, six days after being honored by the Dana Point Historical Society as the city’s patriarch, Mel Pierce, 91, of Dana Point passed away at his home, surrounded by family and friends. 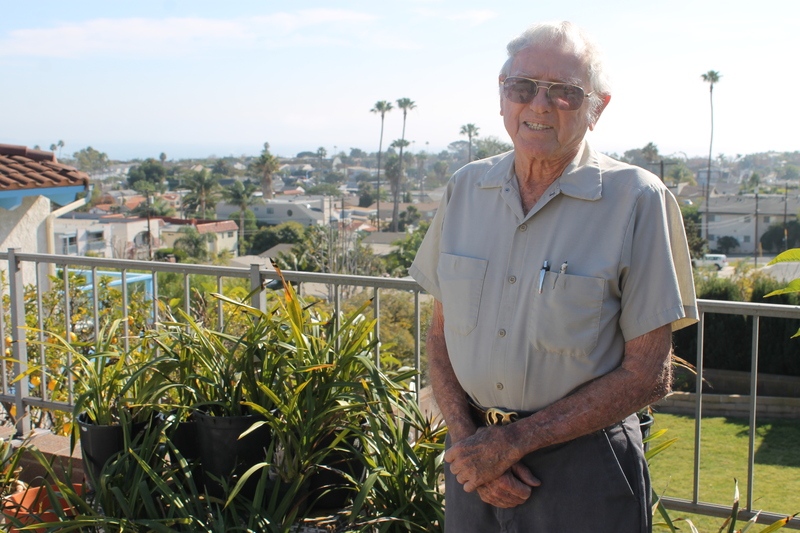 Pierce was a resident of the city for 85 years, after moving to Dana Point from Pennsylvania with his family on July 4, 1930, when his father accepted a job with city developer Sidney H. Woodruff in 1929 and, despite the Great Depression, stayed in Dana Point. Growing up, he was one of the area’s first surfers, learning to ride waves under the tutelage of legends of the time, including Lorrin “Whitey” Harrison. Upon finishing high school in San Juan Capistrano—as there were no schools in Dana Point at the time—Pierce trained in aircraft maintenance at Pomona Junior College, eventually leading to his time in the Army Air Corps during World War II. Pierce served aboard a B29 as a flight engineer, transporting fuel to France and bringing wounded soldiers back to England.After returning to Dana Point, he helped start the family ceramics business in the mid-1950s. Later, when the U.S. started buying mostly imported ceramics, he redirected his entrepreneurial efforts into the laundry business. After returning to Dana Point, he helped start the family ceramics business in the mid-1950s. Later, when the U.S. started buying mostly imported ceramics, he redirected his entrepreneurial efforts into the laundry business. Pierce opened a laundromat in Dana Point, on Amber Lantern and Del Prado—that is still in operation today, although under different ownership—and then went on to manage three other laundromats and a “route” of commercial laundry machines in apartment buildings throughout Dana Point and San Clemente. He was a founder and member of the Doheny Volunteer Fire Department’s Station 29 in Capistrano Beach for a quarter of a century. Pierce was also a founding member of the Dana Point Yacht Club and very involved as a moderator and usher for many years at South Shores Church. Pierce is survived by his wife Helen—who he was married to for more than 65 years—daughters Sandy and Becky, son David, their spouses and daughter-in-law Margaret Pierce. He was preceded in death by his son John. He was also a proud father, grandfather, great-grandfather and uncle to many, said son David Pierce. A memorial celebration for Pierce is set for 2 p.m. on Saturday, June 6 at South Shores Church, 32712 Crown Valley Parkway in Dana Point. Gifts in his memory may be given to South Shores Church.